The weather in Michigan can be harsh and unforgiving, especially during the winter when cold temperatures, snow, and ice plummet the region. Winter weather conditions can be tough on your home — which can suffer all sorts of complications from doors and windows that shift or shrink in the cold, to cracks in caulking and concrete, and more. These problems are challenging to tackle once they have started, so it’s important to take steps now to prepare your house for winter before it arrives. Fortunately, homeowners can take action now to prepare your house to resist and endure the cold and snow, keeping you and your family warm and well-protected in the process. Here are 6 home improvement projects you can tackle this fall to be sure your roof, windows, doors, siding, insulation, and other areas are in good shape, so you can enter the winter months with confidence in a secure, long-lasting home. 1. Check ventilation and eliminate air leaks. Broken or damaged windows, doors, caulking and more can allow cold air to creep into your home and cause your utility bills to go through the roof. If you use window AC units, remove them and store them for winter. Or cover the exterior of the unit with an insulating wrap to keep out cold air. Ensure that all air vents are clear of debris. Check all doors and windows to make sure they close properly and don’t have gaps where heat can escape. If your doors and windows are in need of replacement, autumn is a perfect time to address the need and save on utilities come winter. Have your furnace inspected by your heating company, and have the system cleaned or repaired as needed. If you have a fireplace/chimney, have it professionally inspected and cleaned before using. Don’t forget to fix cracks and missing bricks, as well as checking to see that the flue opens and closes properly. Clean out gutters and ensure downspouts are draining water away from your foundation. Do a visual inspection of your roof. Look for missing or buckled shingles outside, and signs of water leaks inside. Hire a professional contractor to conduct a full roof and gutter inspection. Normally, a roof lasts an average of 20-30 years if it is maintained in good condition. If it is damaged or aging, make plans to have it replaced. 4. Care for walls and siding. Check your home’s interior and exterior walls, looking for cracks, water stains, and other signs that there may be a leak or foundation issues to be repaired. Apply a fresh coat of exterior paint to help your home endure the elements. If your siding is worn or damaged, a replacement may be in order. At John McCarter Construction, we love the durability of James Hardie® siding, which offers products specifically designed for the weather conditions where you live, including Michigan’s harsh winter season. 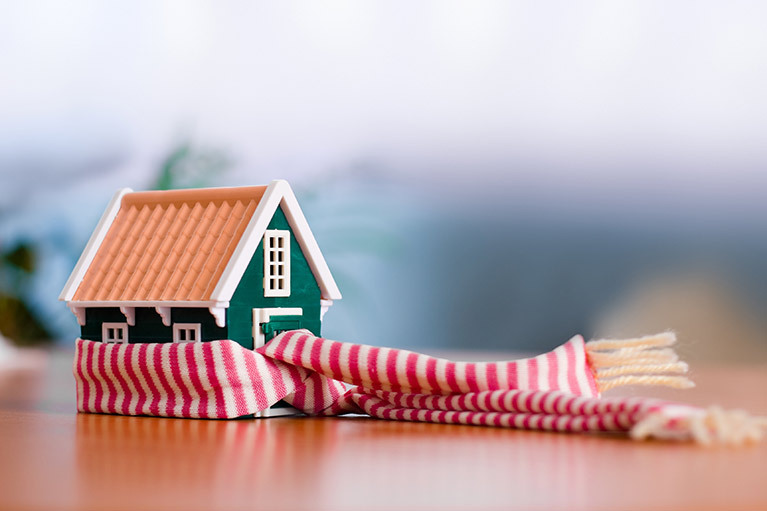 Examine your home for areas where insulation may be thin or missing, as this can dramatically affect your utility bills. Perform an inspection of the areas around doors and windows for gaps. Visit the attic. If you can see the floor joists, you need to add insulation. Basements and crawl spaces also can benefit from added insulation. Be sure all pipes are securely wrapped in insulation to prevent breaks. 6. Take care of the little things. Declutter your home, storing papers and other flammable items in secure places away from heating sources. Use the change of seasons to switch out air filters and clean out your dryer’s vent. Recaulk in areas where existing caulking may have cracked or shrunk due to changing temperatures. Winterize your yard by having trees trimmed, raking leaves, draining and storing water hoses, and securing outdoor water outlets. Start your home improvement projects today—and be ready for “Old Man Winter” before it arrives. After performing all these inspections, you may find yourself in need of help with repairs. Or you may already know there are areas in need of attention. Don’t wait until winter arrives, driving up utilities costs and putting at risk the investment you’ve made in your home. 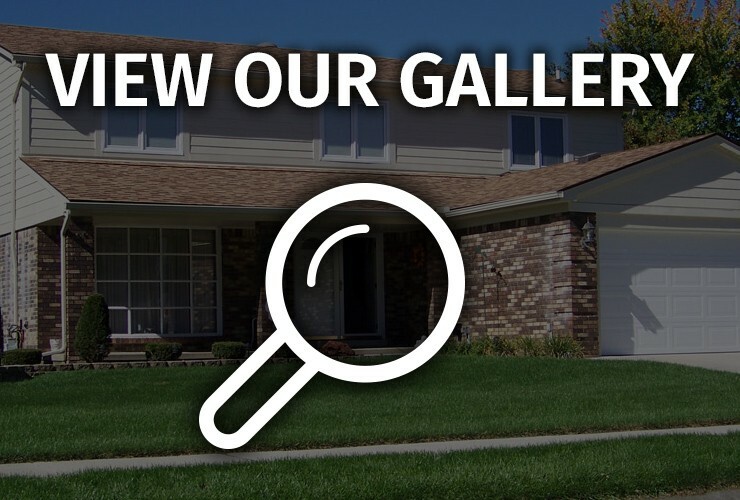 Address issues now with the assistance of a trusted, reliable home improvement company. At John McCarter Construction, we are proud to stand by our years of experience helping homeowners in the Detroit metro area enjoy homes they love to live in. Whether your home needs siding care, painting, roof repairs, windows/doors replacement, or other exterior needs, our trusted, caring team can help. We want you to have a home that looks stunning from the curb, is long-lasting, and is truly low-maintenance. Call us today at 248-446-1750 for a free consultation to help you address any issues you’re concerned about before the cold Michigan winter sets in.